A few weeks back I was lucky enough to win Lisa's MAC Lipstick giveaway! 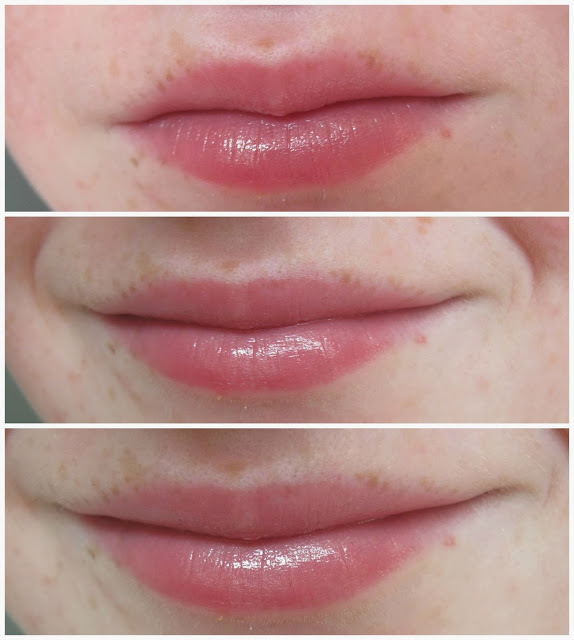 I had a pretty good idea of what shade I wanted to get after Angelica from One Little Vice has been recommending this shade, Syrup, to me for a while now! When I first saw this lipstick I didn't think I'd ever own it, it looks really dark! I took the plunge anyway and I'm so glad I did, this is probably my favourite A/W lipstick now! Syrup is a Lustre formula which is my favourite out of the finishes I've tried, the lustre formula is so creamy and light. This does mean the lipsticks tend to be a little sheer but being 16 means that I don't want a bold lip colour so this formula is perfect for me! Syrup is almost like a cloudy plum shade, muted but the plum tones are still there. It is a bit of a your lips but better shade, just with a splash of plum in it. This makes it perfect for the colder months, the warmth of the lipstick isn't going to make you look dead though and I think it really compliments my pale skin. Pigmentation wise it's similar to a well pigmented lip crayon, you can see the colour but it's almost like it is cloudy as your natural lip colour still shines through a little. I know this won't appeal to everyone but I'm not a fan of a bold lip so this is perfect for me, you can see the colour on your lips but it isn't loud or bright. As for lasting time again because of the formula it isn't great, this lasts maybe 2 hours on me but it doesn't bother me really! It keeps my lips feeling moisturised as well which is a plus in winter. It is safe to say this has become one of my favourite lipsticks! What's your favourite A/W lip product? I've never tried MAC lipstick before. I like the crayon-y effect though. Color looks pretty. I may just have to add this to my MAC wish list.. oh dear for my purse!! haha, let me know what you think of it if you do buy it! The colour is pretty but too sheer for my liking! I have been lusting over this shade for months now. I think it's time I give in to temptation. I want plum, rasberry color lipstick should I buy Syrup? This definitely doesn't have any raspberry tones in it unfortunately!